Hardcover, 10 x 12 in. / 218 pgs / 115 color / 23 duotone. Text by Dore Ashton, Juan Villoro, Jorge Reynoso, Alberto González, Angélica García. A painter of rare independent vision, with an oeuvre that now stretches back a half-century, Manuel Felguérez (born 1928) is without doubt one of Mexico’s most outstanding artists. His abstract paintings of the 1950s and 1960s presented expressively worked surfaces and a scratchy mark-making; later he arrived at the work for which he is best known, abstractions of a more classical bent, that evoke the cylindrical geometries of Fernand Léger and Francis Picabia. But from the start, Felguérez’s painting has been characterized by its earthy feel and warm hues. 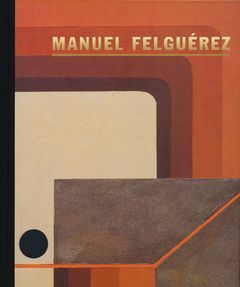 This superbly produced monograph includes essays on Felguérez by Dore Ashton, who reflects on the artist’s influence both in Mexico and abroad, Mexican writer Juan Villoro, who supplies a personal portrait, and analyses of the work by Jorge Reynoso and Alberto González. Alongside a wealth of excellent color illustrations, this monograph provides a detailed contextualizing chronology of the artist’s life and times. Text by Jaime Moreno Villareal, et al. FORMAT: Hbk, 10 x 12 in. / 218 pgs / 115 color / 23 duotone.